Those of you who attend our World Dance Series will know what we mean when we say Step Afrika! shook the rafters on each of the three nights they performed The Migration: Reflections on Jacob Lawrence. With luminous images from Lawrence’s masterwork projected behind them, the company plunged the audience into a 300-year journey from Africa to Chicago and from slavery to freedom. Wonderful as their ticketed performances on the Meany stage were, the place where the dancers of Step Afrika! really stepped up was in the gymnasiums and cafeterias of John Muir, Sandpoint and Lowell elementary schools and Franklin High School. Over two days, members of the Step Afrika! company performed and taught stepping to more than 900 K-12 students—the majority from immigrant communities and communities of color. The dancers encouraged their audience to shout, clap and stomp, at the same time managing to keep a gentle lid on the energy in the room. 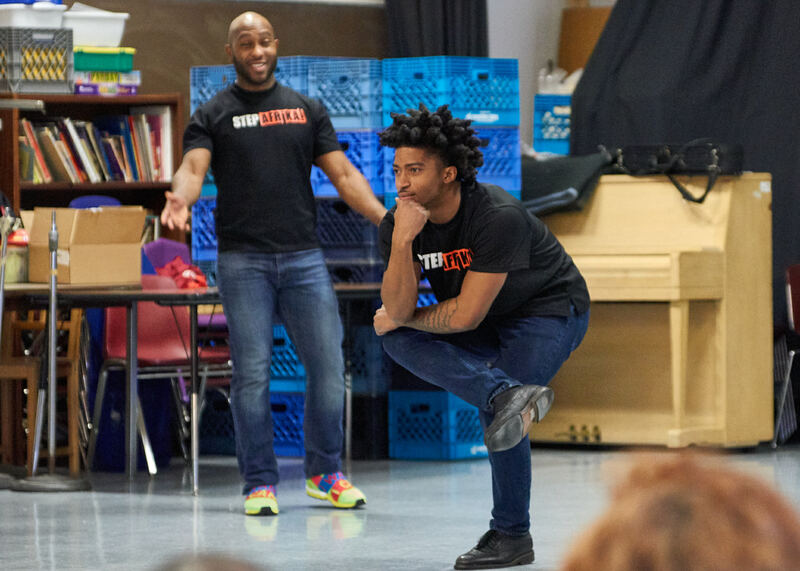 Dance was at the front of Step Afrika!’s educational outreach, but it wasn’t center—that was reserved for emphasizing the importance of a college education. Every dancer in the company has at least a bachelor’s degree—it’s a requirement in order to join Step Afrika!—and their entire performance modeled respect for others, teamwork, persistence and excellence as an aspiration. These concepts were introduced in ways their young audiences appreciated—for example, a “dance off” when one of the group claimed he was the best dancer in the company. The children were delighted to be appointed the judges, and each time the braggart lost his round. By the end, he had been humbled and discovered that the company was stronger and better when they worked together. It was a light-hearted activity that probably broke the sound-barrier at times, but with a serious point that the dancers reinforced several times throughout all of the in-school demonstrations. At the end of each performance, the dancers introduced themselves, told the children what college each had graduated from, what they had studied and what they had enjoyed about college life. Step Afrika! 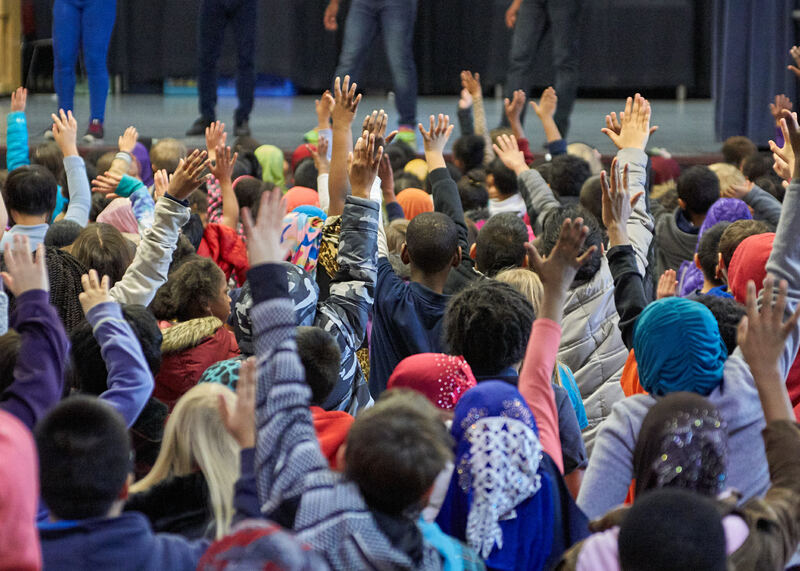 performed an abridged version of The Migration at a free student matinee, reaching an additional 1,100 kids—and taught their young audience some moves, as well. This was one occasion when there was at least as much dancing happening in the seats as on the stage!